First we plan an engagment session activity! For your Engagement Session, we’ll go on an adventure! To start planning our time together, pick an activity that is special to you. It could be anything from walking around town to rock climbing - we can plan our time around whatever the two of you love doing together. If you really enjoy playing scrabble and drinking tea, let’s put on pajamas and lounge around the house! If you like to try new things together, let’s go dogsledding! If you like to do outdoor activities, let’s get out go for a hike or a climb. Or if it’s winter we can go snowshoeing or hang out on the slopes! The point is to show off your personalities and what brings you together as a couple. Most likely, the activity you choose will determine our location and time. Okay so, what should I wear? 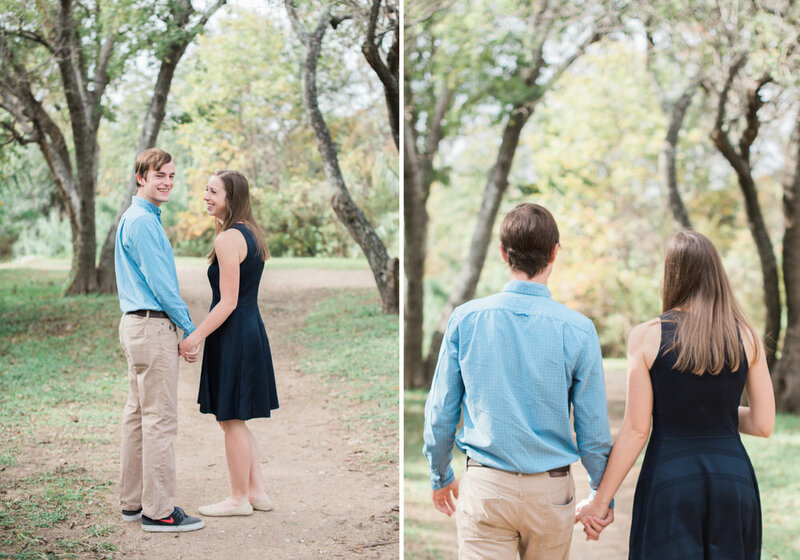 For your Engagement Session, we’ll incorporate one outfit change. I find it’s always best to start with our “portrait session” outfit, and then get more casual. Keep in mind the weather, location, and activities when choosing outfits - and remember, I’m always here for help! Remember, this shoot is about capturing your personalities - so if you’re not a high heels and ruffles kind of gal, this is not the time to wear a super frilly, fancy outfit. Do remember though that these photos are incredibly special, so making sure that you’ve put some thought into what you’re wearing is important. Don’t be afraid of a suit and high heels! Outfits should coordinate, but not be matchy-matchy. Accessories are a great way to change up an outfit - throw in some scarves, necklaces, hats, and layers. It can make you feel more confident if you have your hair and makeup done. Still looking for visuals? Check out my Pinterest board of combinations here! What do I do with ALL of these photos from my engagement and my wedding or elopement? Why your dress should be dirty at the end of the wedding day!